locomente...: Versatile I am - Yay! 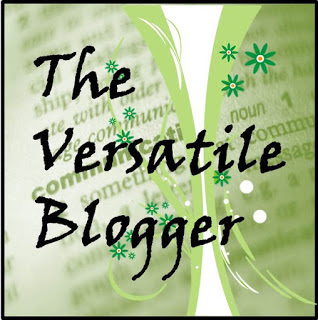 Versatile I am - Yay! Thanks Geethika for thinking nominating me for this award. 1. I know 6 languages to speak/read – Tamizh, Malayalam, Kannada, Telugu, Hindi and English. I can also write in all the above languages except Telugu. 2. I enjoy watching movies alone in theater. I believe that you can never be “alone” in a theater! 4. I have watched the Tamizh film Alaipayuthe more than 100 times. I know the dialogs by-heart. 5. I used to hate e-books until Kindle became mine – it transformed my attitude towards reading altogether. 7. If God comes in front of me and gives me one boon, I would ask for an older brother. Congratulations on your award. You deserve it. Finally, glad to see someone using the right pronunciation for Thamizh (instead of Tamil). , You can watch a movie in a theater alone. You visit USA frequently, Right? Brand new Tamizh movies are released from Thursdays to Wednesdays. Mondays to Wednesdays are 2 shows. 5 PM and 8 PM. Go to a 5 PM show on any day Monday to Wednesday. You will be the only one in the entire theater. We always do that. Lastweek Papanasam - we were the only 2 in the theater. Thanks a lot SG... I am a "Tamizh pithathan" if i can call myself so! Thats interesting to know that there would be very few people to watch Indian movies... It reminded me of the movies that my mother and I used to watch in Salem - only two of us!!! Congrats on the award, and such honest answers too. Six languages and 36 watches caught my eye. Best wishes! Congrats ! 36 watches 😝 Omg ! 36 watches . . . . . . Wow !! congrats girl :) :) and really 6 languages omg! !